When Rick Rodney and I first found Hank & Harriet, we never planned on being stage parents. But, from the moment our bug-eyed chihuahua first hopped atop her big brother (actually, she's the older woman in the relationship), it was kinda inevitable. Both found on the streets of Los Angeles, Hank lives for the squirrel chase, and floor-averse Harriet spends her days treating him like a furry chaise lounge. 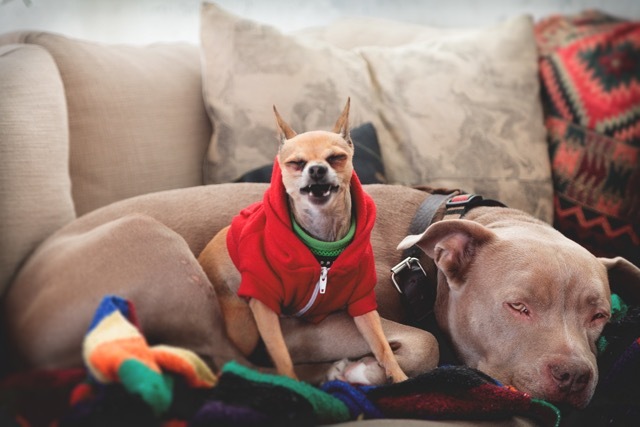 The inseparable duo have been featured on TimeOut Los Angeles, Refinery29, and The Standard Hotels, and partnered with Martha Stewart Dogs, Wag Walking, Nick Jr's "Mutt & Stuff," dog whisperer Cesar Milan, and more. Give us a holler just to say hello, or to talk collaboration.